The new INFINITI Q50 sedan brings an exquisite ride to Florence drivers and is available at INFINITI of Northern Kentucky. Equipped with an available 3.0-liter V6 twin-turbo engine that pushes up to 400hp, the Q50 handles all sorts of drives with gusto. If you’re looking for your next car, come down to Fort Wright near INFINITI of Cincinnati to test the Q50 for yourself. Browse our new vehicle incentives before you come for extra added value. With all these sophisticated features, the INFINITI Q50 remains an excellent choice of sedan for all sorts of roads. 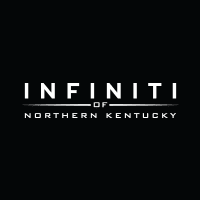 Paired with genuine INFINITI OEM parts and a stellar warranty, the Q50 boasts formidable performance and is ready to be put to the test at INFINITI of Northern Kentucky. When you’ve reviewed our inventory online, contact us to learn how you can get your car buying process started. Apply for financing before you come to get one step closer to your new car.